I don’t get as many Christmas cards in the mail as I use to.Do you? 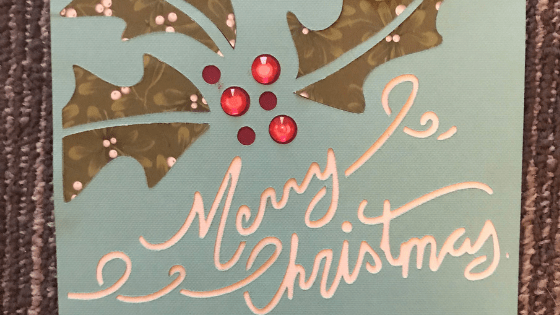 I don’t know if it’s because people are so busy nowadays or if they just use the internet to spread their holiday cheer, but the best cards I get are the ones that are slaved over and homemade. 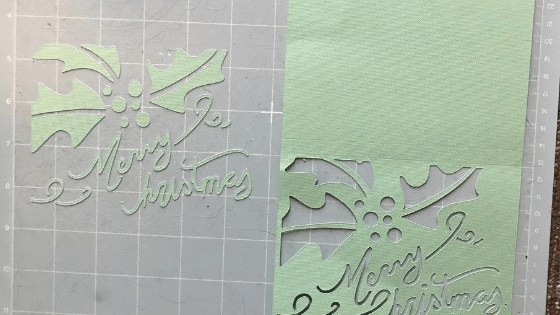 Making a card with the Cricut Explore Air 2 is so simple. I made these three cards in an afternoon. I did use Cricut Design Space as my inspiration. I am a member of Access and I highly recommend that you join. The cost is less than$10 a month and you get several different projects and images that you can use and is included in that price. If you don’t want to have the membership, you can still use the images by purchasing them instead. 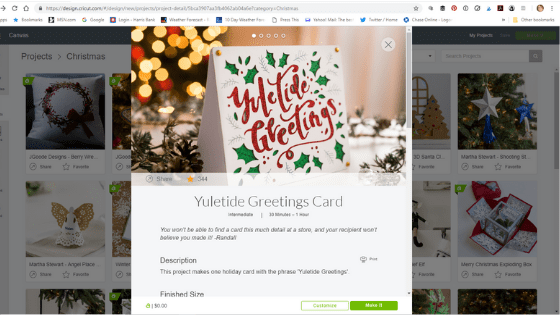 The image is yours to use as many times as you want, but with hundreds and hundreds of images at your fingertips, why not spend the ten bucks? These images can also be customized to your liking or you can use them as if like I did with the following three cards. If you have the material, you can make several cards. Even if you don’t have the exact materials that are required, you can improvise and use what you have. I didn’t have all the materials, but I was still able to make them. Once you pick the card you want to make you can either customize the card or make it as is. I didn’t edit any of the cards. I made them as Cricut Design Space had it set up although I did make a few tweaks. This card was an easy card. It only used two pieces of cardstock. 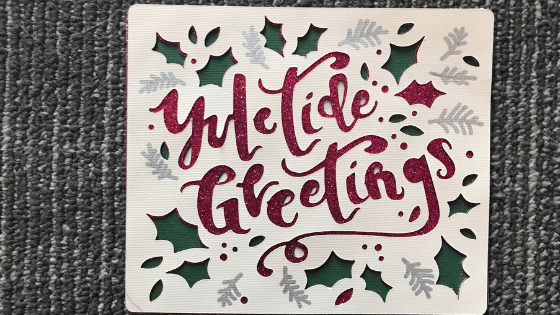 I used the Cricut holiday sample pack of cardstock I had purchased awhile back. One good reason to purchase the sample packs is because it will give you five different colors that blend together well. 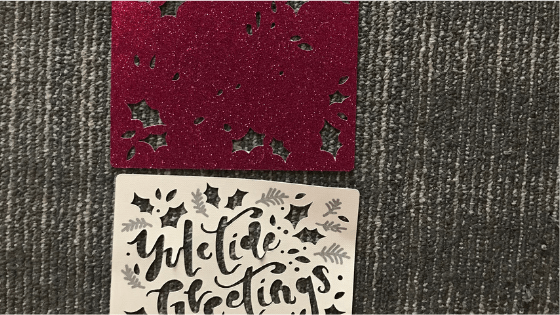 After choosing make it, I was instructed to place the red cardstock on the mat and load it into the Cricut Explore Air 2. The base of the card was scored and cut out. I found that scorer didn’t work as well as I would have liked. In fact I had to re-score it on my own. 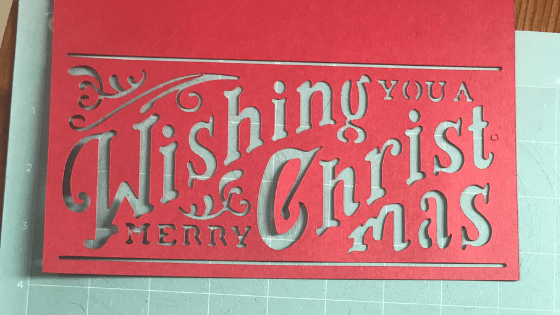 First Cut On Cricut Red Cardstock. 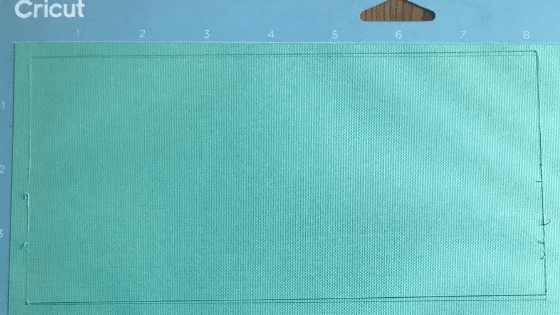 The next cut was from the Cricut teal cardstock. 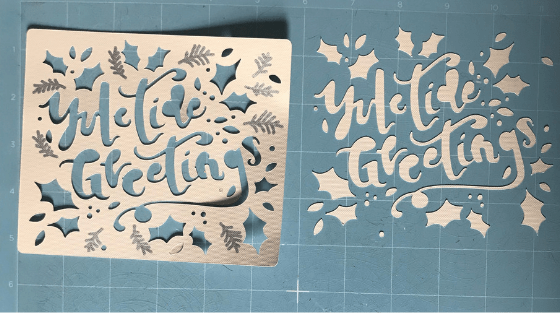 The machine cut out the accent piece that was to be glued onto the back of the cut out words Wishing You A Merry Christmas. Gluing it together was a bit of a challenge because of the cut on the top of the card. 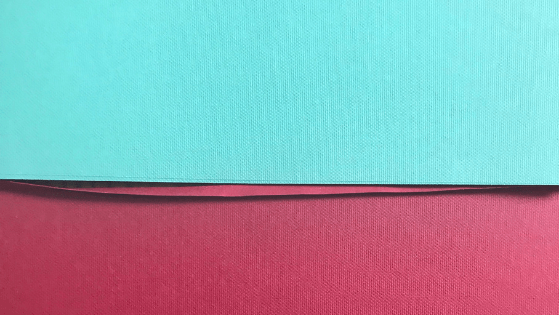 Teal Cardstock Glued To The Red Cardstock In Back Of The Cut Out Words. I decided try a card listed as intermediate for my next cards. This had three layers and also used a Cricut pen. Again, I didn’t have all the supplies needed so I improvised once again. I also did not customize this card but had it cut as Design Space had it figured out. 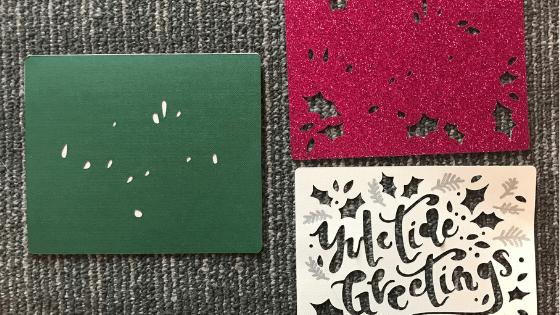 The first cut contains the base of the card, the outside layer, and also the drawing of the pine twigs. As you can see below the pine twigs are drawn on the outside layer as well. 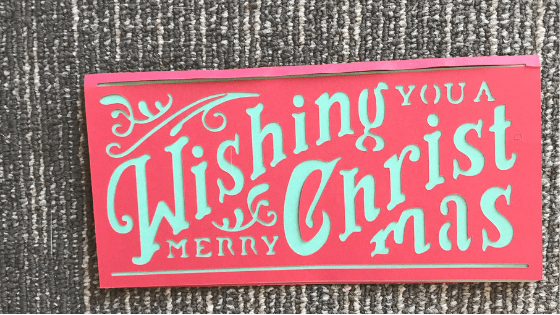 This is done by using a Cricut pen. I didn’t have the green it asked for, so I used the silver pen instead. 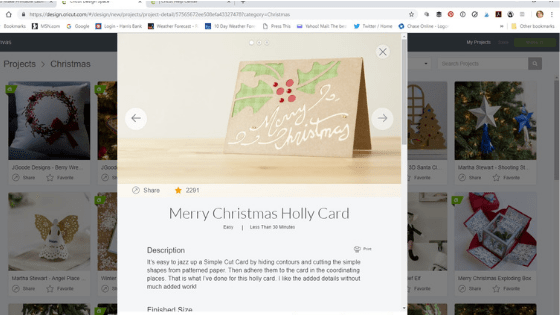 The white paper is from the Holiday Sample pack. The next cut is on red paper for the holly leaves. 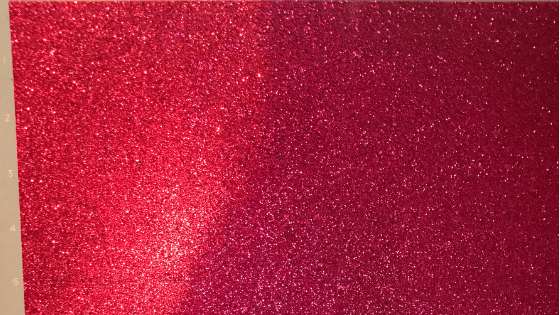 The tutorial actually calls for glitter paper which I did cut out the second time. 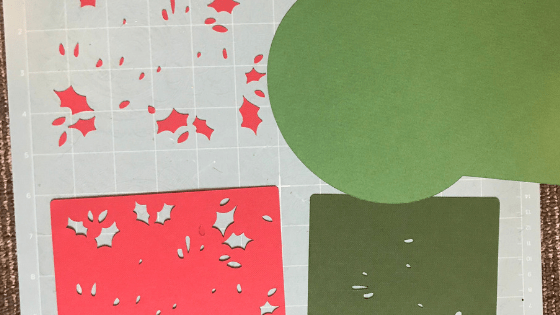 The green cardstock paper is used to for the layer behind the red to show the holly leaves. The mint is the cut for the envelope. Yes this card comes with an envelope. Isn’t that awesome? 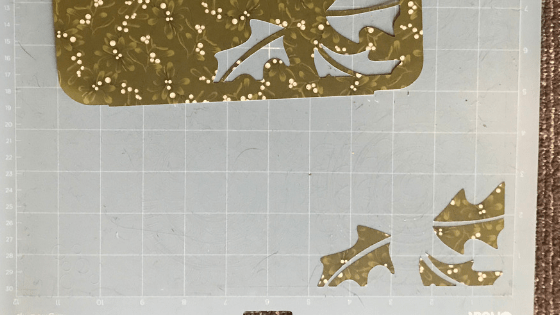 I Re-cut Out The Holly Leaves Layer With Circut Red Glitter Paper. 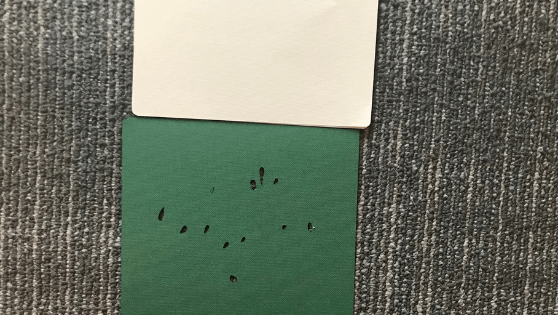 The next two pictures show how the card is layered. 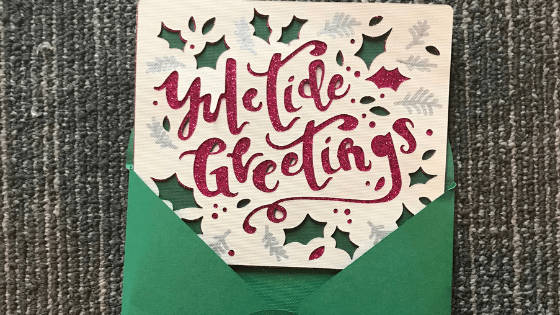 Starting with the white cardstock first, then the green, then the glitter red, and lastly the Yuletide Greetings cut. As you can see below in the next three pictures, each layer brings more to the card. 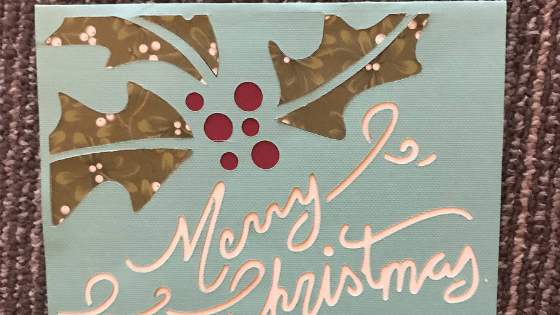 The envelope is scored by the Cricut Explore Air 2. Again I found that I had to deepen the score to get the cardstock to fold evenly. The third card was also an intermediate level. It has four different layers. I called for craft cardstock but the brand I had didn’t cut very well. 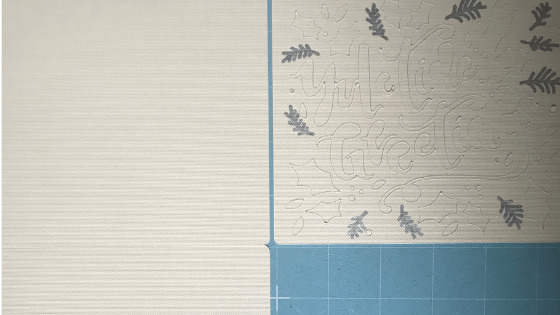 So I used the teal cardstock that came with the holiday sampler. 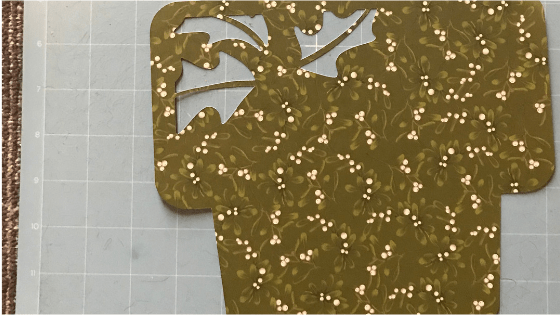 The paper for the leaves is actually from StampinUp! holiday paper I had left over. 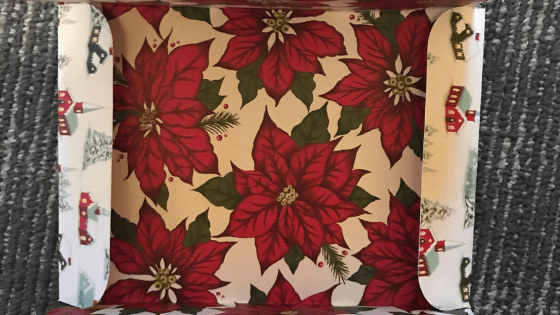 The berries called for a red pattern cardstock but again, I didn’t have that so I used the red from the holiday sampler pack. And I put red colored gems as the big berries to give it more sparkle. 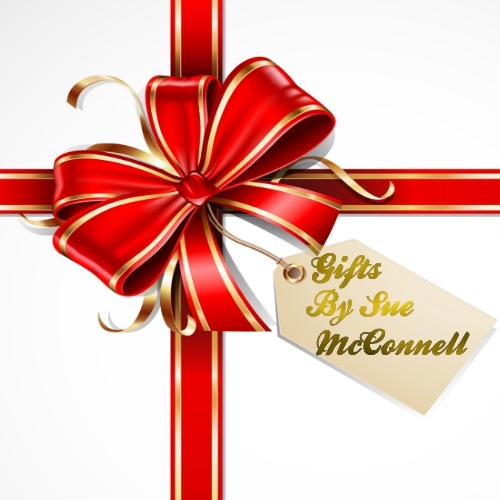 This also came with an envelope that is made with the Explore Air and this paper is also from StampinUp!. The base of the card is the first cut which I used the teal cardstock. It also scored the fold of the card. 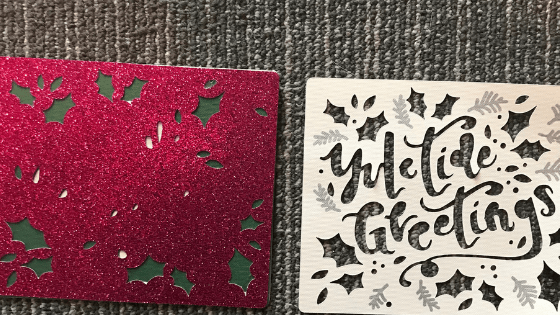 I cut the leaves out of this card stock from StampinUp!. 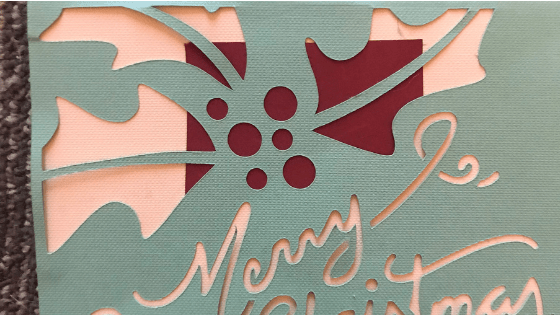 A piece of white cardstock is cut and layered behind the base of the card. However, for the berries we needed the red to be placed where the circles are. I glued the red cardstock onto the white, then glued the white onto the teal base. For the patterned cardstock leaves, I glued them on the white cardstock from the front like puzzle pieces. And then I applied the red gems for the berries. Next came the envelope. 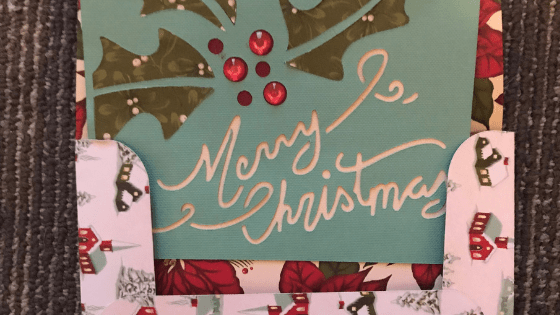 This is also StampinUp! cardstock. 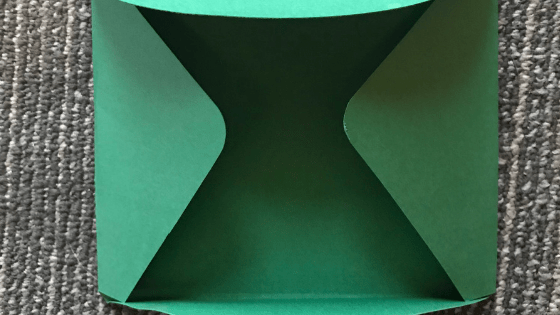 The Cricut scored the folds of the envelope. 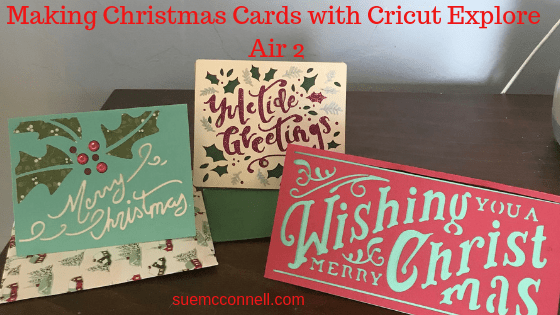 These three cards turned out nice with Cricut Explore Air 2 help. Everyone could use a little help once in a while right? 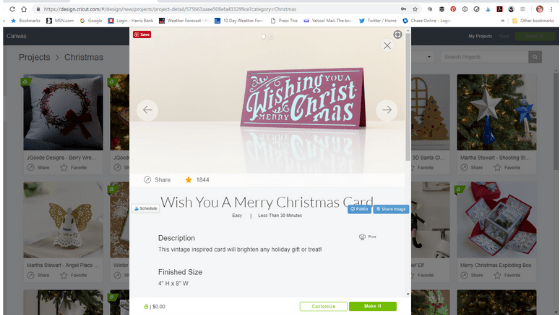 I hope you found this helpful and if you are on the fence about getting a Cricut Explore Air 2, I helped you to make the decision. I’d be honored if you’d share this post.